8GB iPad 2 in the Works, No 64GB iPad 3 Planned? According to the latest Digitimes report, Apple is expected to introduce an 8GB iPad 2 model in addition to 16GB and 32GB iPad 3 models during its March 7 launch event. This move could be seen as an attempt to compete with Amazon’s Kindle Fire and less expensive Android alternatives. The report oddly does not mention a 64GB model, only 16GB and 32GB variations. 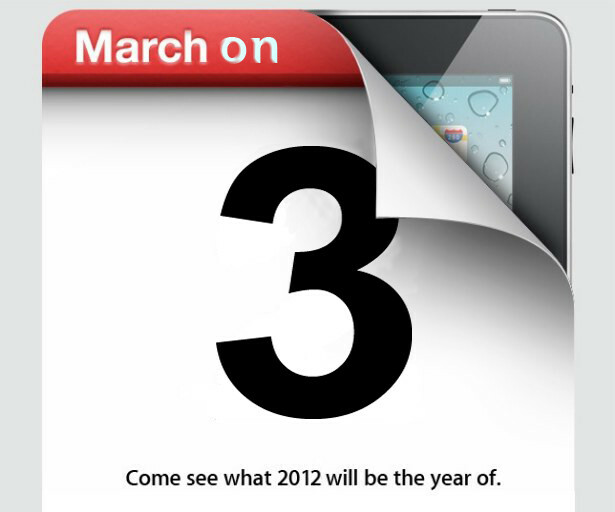 As Apple has scheduled an event on March 7, sources from its upstream supply chain pointed out that the company is expected to launch two iPad 3 models – a 16GB version and 32GB version. In addition to iPad 3, Apple is also expected to unveil an 8GB iPad 2, allowing the tablet PC series to cover different segments and to defend against Windows 8-based tablet PCs, the sources noted. While most recent rumors have focused on the iPad 3, this report puts focus on Apple’s strategy to make the iPad line more accessible. An 8GB iPad 2 would help the Cupertino based company create product differentiation at a lower price point.